Delhi has everything you want from a short stay in a capital city (a wealth of museums, a vibrant arts scene, great shopping, pretty parks and sophisticated nightlife) but with the added bonus of centuries of history. It's a city of two halves, from Old Delhi with its ancient sights and frenzy of narrow alleys to the wide boulevards and leafy enclaves of New Delhi, built by the British for unashamed Imperial display. To visit Delhi is definitely an assault on the senses but, it's so much fun and you'll definitely find magic amongst the madness. To get this idyllic riverside lodge I had to ride the rapids - the best places are never easy to get to - but it was totally worth it. Days were spent swinging in my hammock watching monkeys play in the trees and birds dart between the exotic flowers before mustering up the energy to zip line through the rainforest canopy. With no electricity, nights were spent sipping cocktails by candle light before being lulled to sleep by the murmur of the river. An early morning trek with a 1,100m ascent through knee high snow brought Julian and I up close and personal with the mighty Himalaya. The view made our hearts skip a beat as we were rewarded with the most perfect panoramic view of Nanda Devi, India’s second highest peak. Then breakfast was served. 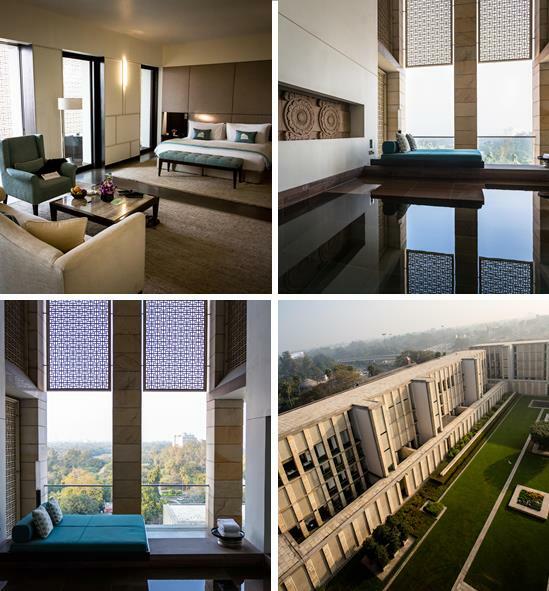 It’s not often Julian gets wooed by a hotel but the Lodhi definitely won him over. From the private plunge pools on the balcony of every room to the impeccable, personal but discreet service, this tranquil oasis may seem imposing from the exterior - all square concrete like something from a communist nation - but inside its cosy and cosseting. It even comes with a couple of excellent restaurants much beloved by the well-heeled folk of Delhi and perfect for people watching. This year Julian and I had our first foray to north Northumberland. Ashamed to admit it, we’d never been to the bit of the UK that stretches beyond Alnwick (of Hogwarts fame) all the way up to the Scottish Borders. What we discovered was a coastline dotted with castles, expansive sandy beaches and big, big skies. It was perfect for walking with our favourite being from the ghostly ruins of Dunstanburgh Castle, around wide Embleton Bay and on to the tiny hamlet of Lower Newton. 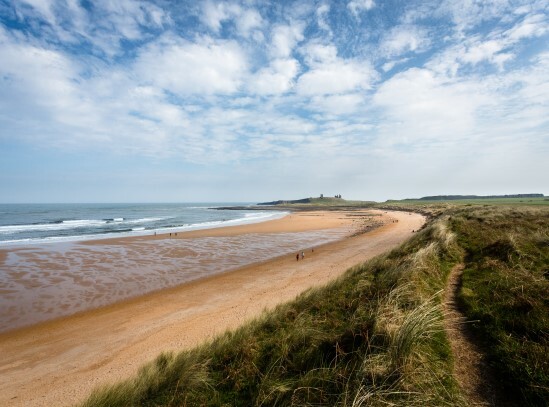 After a swift pint at the local pub, the return walk took us along the wind swept sand dunes that fringed the bay, before returning to Craster for some of its famous kippers. Firmdale are a small but perfectly formed collection of hotels clustered around London (plus one in New York); each is different but all come with the owner's eclectic and quirky styling, wonderfully friendly (but efficient) service and super spoiling rooms. This year saw the opening of the latest addition to the fold, the Ham Yard Hotel, which I’m glad to report didn't disappoint. The location is perfect, right in the heart of Soho with shops, restaurants and nightlife oozing from every corner. Whilst, inside it's a veritable pleasure dome: hot pink walls, extravagant art, a hip and vibrant bar serving delicious and unusual cocktails, a cinema, giant orange juicer (yes, I kid you not) and even an original Fifties bowling alley imported from Texas. On holiday there's nothing better than stumbling across a market selling the best of what's grown and made locally. Abroad they always seem to get it right but, it frustrates me no end that I can never find anything of the same calibre at home in Manchester. Well, that was until our good friends Nick and Jen took over the running of Altrincham (“Alty”) Market and totally transformed it by bringing in some fantastic independent local food and craft people. Now I have a bit of the continent on my doorstep, which this year had a new centrepiece in the form of Market House, where you can feast and be sociable in a relaxed 'refectory' style at communal tables on some of the north west's best food and drink all served from vintage market stalls. Julian (my talented budding photographer husband) is rather good at capturing amazing images from our travels. This year, faced with some fabulous locations, he surpassed himself with one photograph in particular; the night sky of the Himalayas. It took a lot of patience but even Julian surprised himself with the results! Thank you to all of you for letting me arrange your wonderful trips this year and for following my travels. Wishing you all the best for this festive period and happy travels in 2015.